Bio:Susan Odzer Hugentugler is an Assistant State Attorney in the 17th Judicial Circuit in Fort Lauderdale, specializing, for the last ten years, in post conviction litigation. Prior to serving as an assistant state attorney, she served, for a combined total of 16 years, as an assistant attorney general and as an assistant statewide prosecutor. 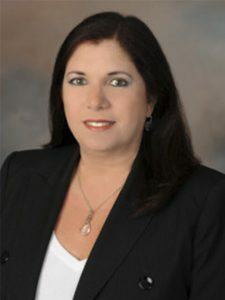 Susan began her legal career in the Office of the Public Defender in Fort Lauderdale. She has served on Florida Bar committees since 1991 including the Criminal Procedure Rules Committee, the Appellate Court Rules Committee, and on a Bar Grievance Committee. Susan received both her Bachelor’s and Juris Doctorate (1983) degrees from the Florida State University. She and her husband have two sons.